Waterproof gazebo ideal for creating shelter from sun or rain at any event. 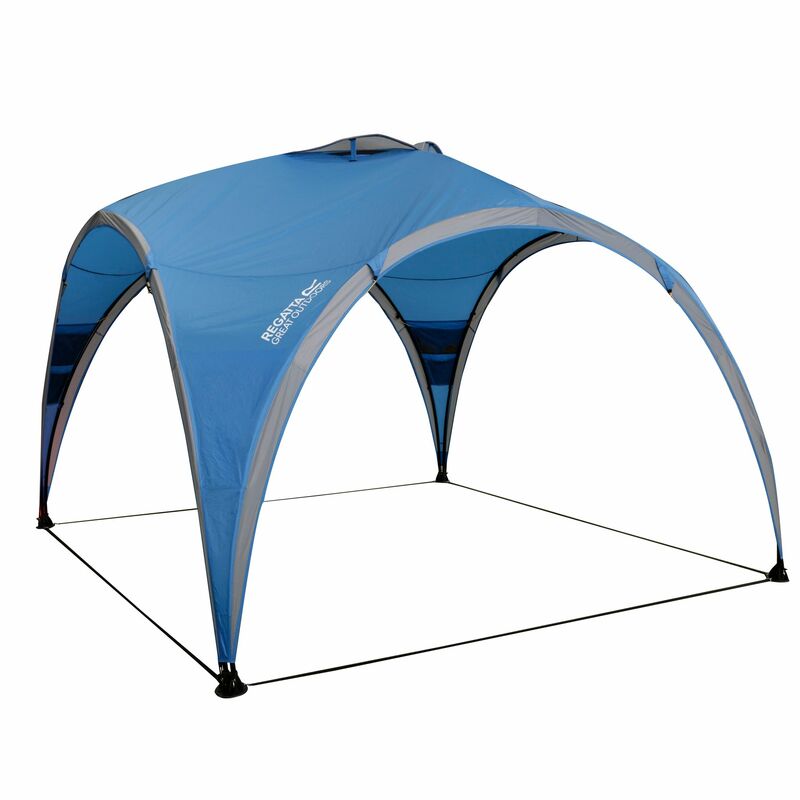 Standing over 2-metres high with a durable steel frame construction, use it a central space for a group of tents, for parties in the park or at home in the garden. The Regatta 3M Family Durable Steel Frame Waterproof Gazebo is fabricated with waterproof Hydrafort 70D flysheet with 3000mm hydrostatic head and taped seams. It features multiple vents that allow maximum air flow throughout and keeps the insects away. It comes with an expandable storage bag for easy packing and unpacking. Waterproof Hydrafort 70D flysheet with 3000mm hydrostatic head, and taped seams. Practically positioned internal pockets and lantern hanging points. Multiple vents allow air flow throughout. Bright guy lines for extra visibility. Expandable storage bag allowing easy packing and unpacking.